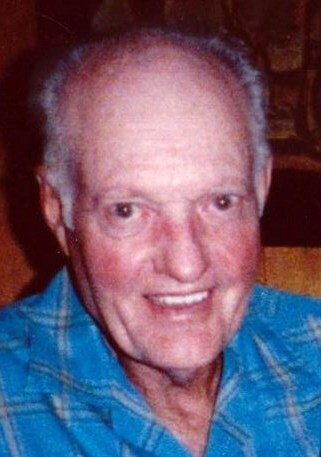 Royce Burnard Turnbow, 88, passed away at home, late Thursday, December 3, 2015. He was born in Bradshaw, TX to Elijah Francis and Nora Zella (McMillon) Turnbow. He spent his early school years in Bradshaw and graduated from Ropesville High School, where he drove the school bus his senior year. Royce went into the Army Basic Training where he teasingly said, "When Japan heard he had enlisted, they surrendered and the war was over." He married Betty Zane Murdock on February 19, 1955 in Lubbock, Texas. He loved farming and, in fact, didn't know how not to. He attended the Lubbock Primitive Baptist Church where his cherished pastors were Bro. Doyle Smith, Bro. George Johnson and currently, Bro. Kenny Venable. He is survived by his wife, Betty Zane Turnbow; son Roy and his wife, Sheri; daughter Frances and her husband, Don Claborn; and daughter Karen and her husband Hunter Blanchard. Grandchildren, Shonda, Chesley and Katie. Royce was preceded in death by his parents, seven brothers and sisters; Horace, Alton, Buddy, Mildred Montgomery, Florene Hill, Nora Ann Davis and Junie. Nephews Mart Montgomery, Mac Hill and a brother in law, Donald Hill. Pallbearers are Carmon, Andy and Tracy Turnbow and Eddie Don, Leslie and David Davis. Condolences may be offered at www.resthavenfuneralhome.com.